This is a bit short notice, but if you're a fan of theater in Los Angeles, you're invited to East West Players' 44th Anniversary Visionary Awards Dinner, saluting artists who have raised the visibility of the Asian Pacific American community through theater, film and television. It's happening Monday, April 19 at the University City Hilton. Kaba Modern, Joan Almedilla and Jenni Selma of the upcoming production of ROAD TO SAIGON, Ethan Le Phong, Nathan Wang & the 44th Anniversary Orchestra and more to be announced! 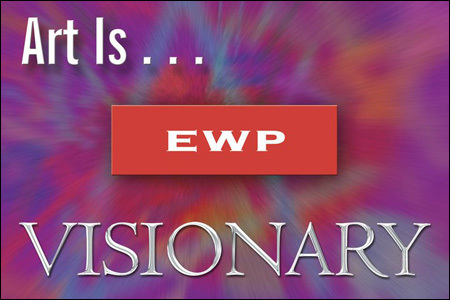 For more information on East West Players 44th Anniversary Visionary Awards Dinner and Silent Auction please contact Development Manager Lisa Tang at LTang@eastwestplayers.org or (213) 625-7000 x17. Established in 1965, East West Players has been called "the nation's pre-eminent Asian American theater troupe." Proceeds from the evening will benefit East West Players educational and artistic programs. It's going to be a fun and fancy night! For more information about the event, visit the East West Players' website here.